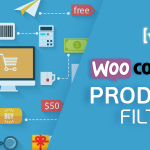 Woocommerce Variations to Table Grid v1.3.1 – This WordPress – WooCommerce plugin will turn product’s page default variations select-option menus to user friendly table – grid display. It features a self-explanatory with plenty of options admin settings panel, great documentation and support and per product options. User friendly and self-explanatory administration panel. Displays all the needed data for your variable products with options to disable them. Option to disable or enable the table/grid per product. Easy to use shortcode with full documentation to help you put the table where ever you need and shortcodes are executed. 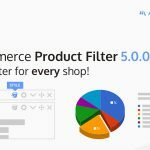 Easy to use global shortcode that will display all variations of all variable products on any page. Extensible / developer friendly. You can alter the plugin without hacking it, but via WordPress filters and actions. Make variations stand out with your custom sticker/icon. You can enable/disable or override it per variation. Easily translatable via .po / .mo files. Available translations: English, Greek, Français, Italiano.